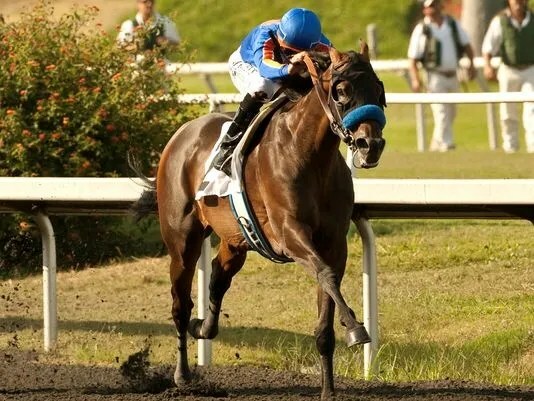 Although the holiday referred to in the headline was Independence Day (Thursday, July 4) in the US, it was Canada that was on center stage in North American racing Sunday. 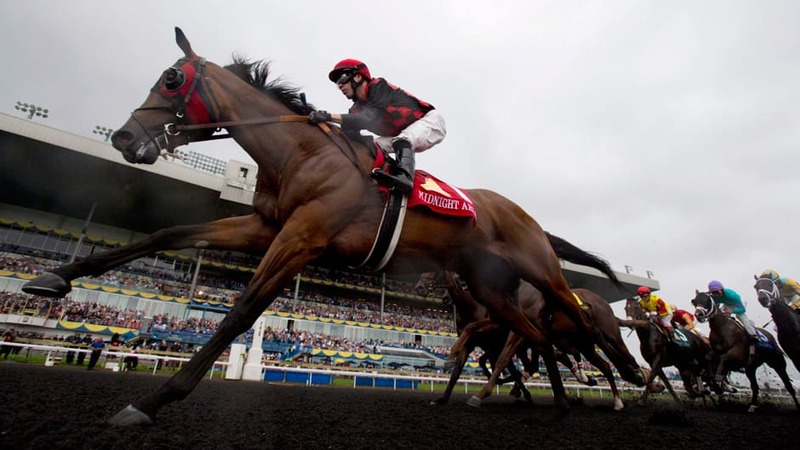 Midnight Aria, a 17-1 longshot in Canada’s richest race, captured the 154th Queen’s Plate at Woodbine Racetrack in Toronto on Sunday. 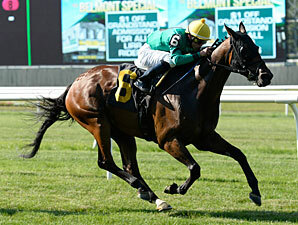 Midnight Aria beat out favorite Up With the Birds by a half length, with Dynamic Sky finishing a game third. The Queen’s Plate was just one of five stakes on Woodbine’s impressive Sunday card. Game On Dude captured the final running of the Hollywood Gold Cup on Saturday at Hollywood Park for his second consecutive Gold Cup win and fifth consecutive graded stakes win. The six-year-old son of Awesome Again, trained by Hall of Famer Bob Baffert and ridden by Hall of Famer Mike Smith, surpassed $5 Million in career earnings with Saturday’s win. He has not lost since the 2012 Breeders’ Cup Classic where he finished a surprising seventh as the favorite. Game On Dude will point to the $1 Million Pacific Classic (G1) at Del Mar for his next start, and the ABRV Tour will be at Del Mar for all the Pacific Classic action! 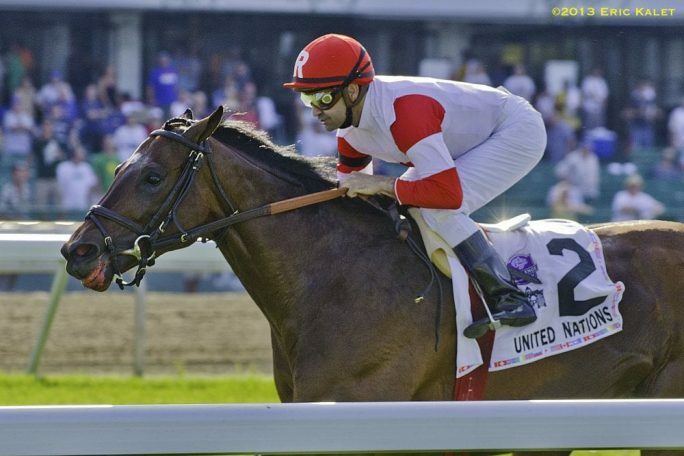 Ken & Sarah Ramsey’s homebred Big Blue Kitten secured his spot in the $3 Million Breeders’ Cup Turf (G1) with a win in the $500,000 United Nations S. (G1) on Saturday at Monmouth Park in Oceanport, NJ. 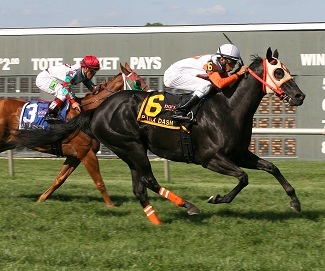 Trained by Chad Brown this marked only the second career stakes win for the five-year-old, but was the second consecutive United Nations win for jockey “Jersey” Joe Bravo. Bahamian Squall for trainer David Fawkes and jockey Gabriel Saez took the other Breeders’ Cup Challenge race on Saturday, winning the $350,000 Smile Sprint Handicap (G2) at Calder Race Course near Miami, FL. 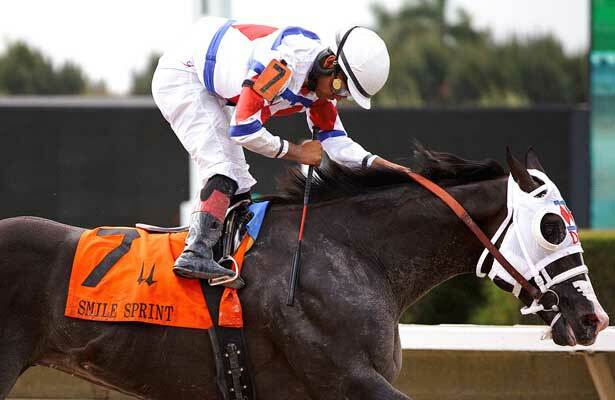 The Smile Sprint is a “Win and You’re In” race for the $2 Million Breeders’ Cup Sprint (G1) on November 2 at Santa Anita Park.